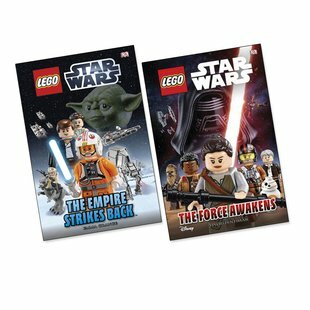 Classic Star Wars movie action in storming LEGO® colour pictures. The Force has never been stronger. Two epic movies. Two timeless stories revamped in unique LEGO® style. Start at the very beginning in The Force Awakens: the prequel that sets the scene for all the battles to come. Then gasp as Luke Skywalker takes on the super-scary Darth Vader in one of the greatest face-offs of all time!